Nippers tend to be something that you take for granted on a trout stream...until you need them. It seems as though they would always be dull, or missing when I frantically needed to cut my nymph off in order to tie on the right big dry fly in the middle of a hatch. 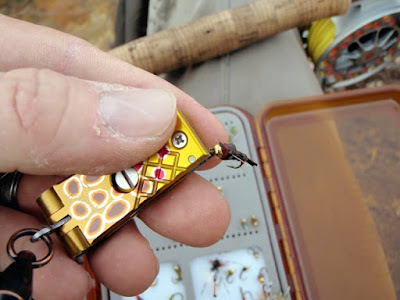 Last fall, my friend Morty gave me a set of nippers made by Abel Reels. 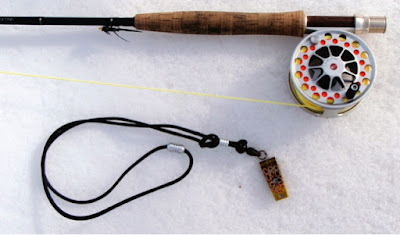 The set I was given was hand painted in brown trout colors, and attached to a handy lanyard. These nippers are outstanding. In the past I always used an inexpensive set, but experienced the problems described above. The Abel nippers are not only a work of art, but they are are built like a tank, stay sharp, and if you use the lanyard, are always where you need them. As you might recall, BDF uses a three tiered gear rating system for gear reviews. Abel Nippers earn Dry Fly status. Oh Morty! I never got my Abel nippers! I'm sure it was an oversight. Howard...HA... It's not Christmas yet, right? Mike...look now, you're making Howard jealous. Glad you are still enjoying those. Cam, you just keep those TFM stickers coming and I'm good. Nice post buddy! Nice images and great information on the nippers. I love mine!